Add this stunning squash blossom necklace to your jewelry collection! 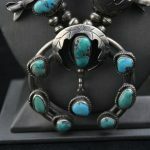 It is made of sterling silver and has five squash blossoms on each side with turquoise cabochons. 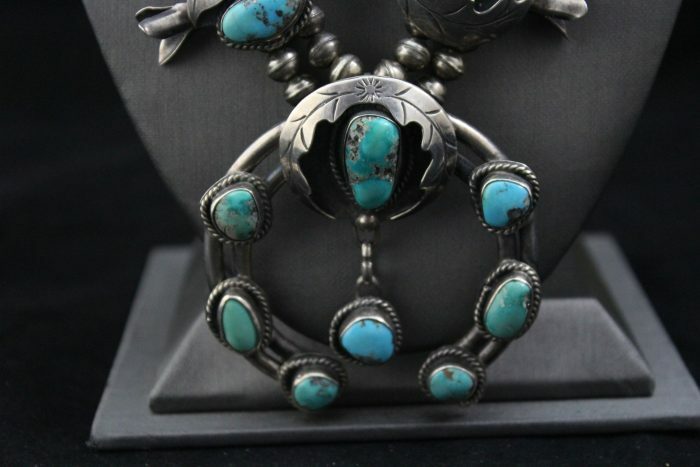 The Naja has seven turquoise cabochons. Each piece has an applique leaf. In good condition.